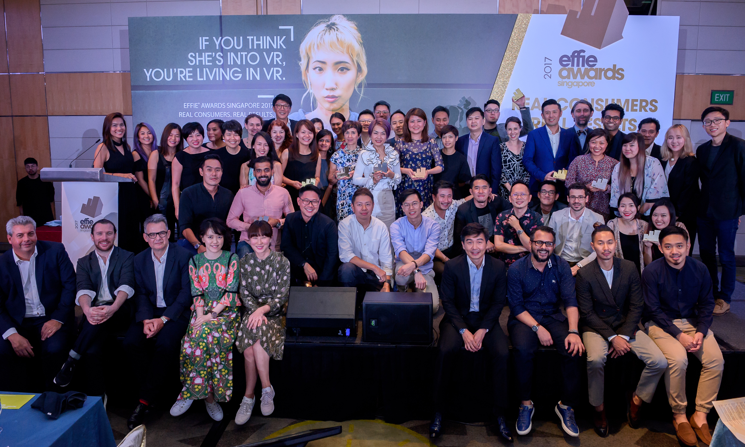 Winners of the 2017 Effie Awards Singapore were celebrated at the Gala on May 18 at the Pan Pacific Singapore. From a shortlist of 24, 12 winners were awarded, including two Gold, six Silver and four Bronze. Organized by the Institute of Advertising Singapore (IAS), the mission of Effie Awards Singapore is to honor the most effective work in the marketing communications industry. A panel of more than 30 judges, comprised of Singapore’s most accomplished marketing and advertising professionals, determined the winners after two rounds of rigorous judging. Gold trophies were presented to DDB and The Bone Marrow Donation Programme for their campaign, “A Small Ask, A Big Plea,” and to BBH, OMD and INCOME for their campaign, “Start Retiring.” NTUC Income emerged as the top brand, winning a Gold and a Bronze, while DDB Group was the top winning agency, earning a Gold, Silver and Bronze. Notable was GOVT Singapore, who picked up a Silver and a Bronze. The full list of 2017 winners can be viewed at http://effie.sg.